Women should not be intimidated by negotiating a good deal in commercial leases, but negotiating starts with asking the right questions. Once you have answers to the right questions, you can research the types of leases, leasing terms, and best negotiation methods. You will also be better able to plan your finances and your negotiation strategies if you know what questions to ask. There are many questions to ask before leasing a commercial property. However, you should include three very important questions to avoid overpaying for business space. What Type of Commercial Lease Is Being Offered? The type of lease being offered is probably the most important item to consider first because it determines how you will be charged rent. The terms of commercial real estate leases are defined by the type of commercial lease. Some commercial leases are straightforward, but most are not. If you do not know what a Triple Net Lease is, or what "Load Factor" means, or how your rent will be calculated (it is rare that you will be charged only for the actual square footage you will occupy), you cannot negotiate better terms. Is the lease "full service" or "percentage based?" The key to negotiating terms of a lease may be contingent on first negotiating the type of lease. Ask to see a copy of a sample lease. A landlord who refuses to allow you the time to review lease terms before signing is not one to be trusted. Commercial leases can be just a few pages but are typically 15-20 or more pages in length. If you require a lawyer to review the terms and the landlord refuses, do not sign the lease! There are many types of commercial leases and some terms may overlap. However, certain terms, such as services (e.g., janitorial or utility), applicable to one lease may not apply to another. Therefore, it is important that you specifically understand the type of lease, as well as if it includes services, load fees, percentage fees, or other fees. Are the Terms of the Commercial Lease Negotiable? All commercial leases should always have at least some room for negotiation. A completely inflexible landlord is someone you do not want to lease from because "inflexible" often equates with "unreasonable." If a landlord is unreasonable during lease negotiations, they may also be unreasonable or unfair once you are in the space and need repairs or consideration for unforeseen items such as more parking, access to equipment, or telephone rooms. Negotiable terms include the length of the lease, free rent, smaller security deposits, and concessions for the tenant upgrading the space. 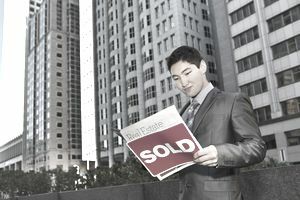 Other areas typically negotiated in commercial leases include lower rent, caps on rent and "load" increases, and reduced or eliminated fees. When there is absolutely no room for negotiation, you immediately know two things: Your landlord is unreasonable and you can probably do better elsewhere. Sometimes the best way to change the terms of a lease is to first negotiate the type of commercial lease. For example, a triple net lease requires tenants to always pay all or part of the taxes, insurance, and maintenance associated with use of the property. These fees are paid in addition to the tenant's regular monthly rent. If you do not want to pay all these fees, you should ask for a different type of lease. Few business owners new to commercial leasing will look beyond their actual monthly rent and utility costs when determining if a space is affordable, but you also need to consider your insurance costs. Moving from a home-based business to a "brick and mortar" space will increase the cost to insure your business because, in addition to your own insurance needs, your landlord will probably require you to purchase insurance to protect them as well. As long as you occupy the space, you will need insurance coverage, which becomes a fixed expense along with your other rent expenses. Make a point to ask what type and amount of insurance coverage is required by the lease. This may seem like an unnecessary question, but many small businesses are uninsured or underinsured. Commercial general liability (CGL) insurance offers the landlord protection from being sued under certain situations and this should be spelled out very clearly in your lease. While CGL insurance offers you some protection, the landlord requires it to protect their own interest, not yours. Some landlords require insurance coverage that may be expensive, or worse, coverage that you cannot get. While most businesses can get CGL insurance, if a landlord requires product liability insurance, some businesses may have trouble finding coverage, or coverage could add thousands of dollars to your insurance bill. Is Insurance Required Prior to Moving In? You should also know in advance if the insurance coverage must be in place before you can move in. Most landlords will require that you have a minimum (that they set) of CGL insurance prior to handing you keys to the space.